Liza is a little girl from the Georgian era, she is wearing a pretty cotton dress with a contrasting blue silk embroidered shawl. She has tights and dainty silk slippers with a bow. Undergarments are worn. 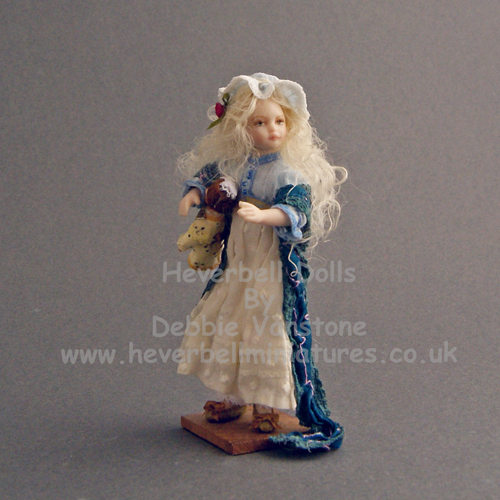 The hair is made from viscose finished with a lacey mob cap typical of the 18th century. 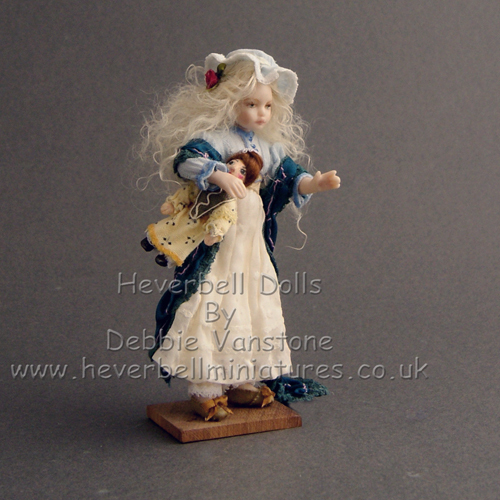 Liza’s little dolly, also handmade is part of the listing. I have designed Liza’s shoes to fit onto 2 prongs attached to the wooden stand; however, a traditional doll stand could be used instead if preferred. Liza is approximately, 4” high. 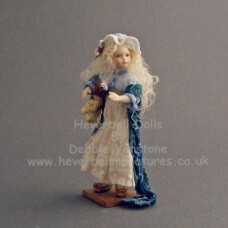 She has been made for adult collectors and not suitable for children under 14 years. 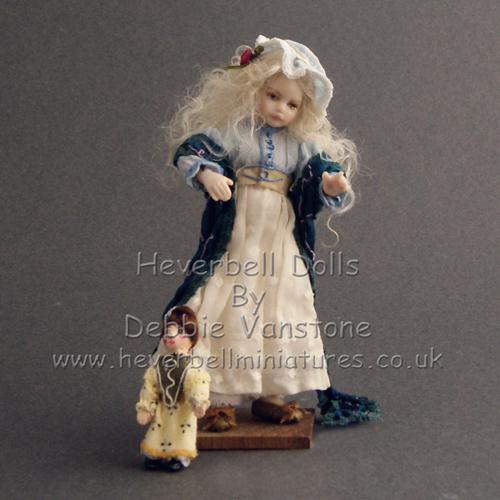 This doll has been made for adult collectors and not suitable for children under 14 years.